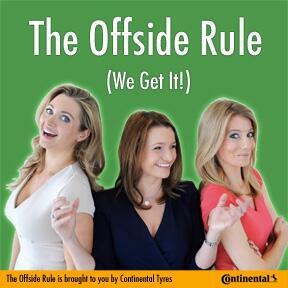 Lynsey Hooper and Hayley McQueen bring you the wacky and wonderful from the football world in this week's The Offside Rule (We Get It!) as Kait Borsay nurses the newest member of the gang, baby Arthur! The Premier League fixtures are coming thick and fast in the festive period, and a number of teams have been injury-hit in this crucial month; so much so that we bring you our best injured XI! We talk successful new managerial appointments, and after the madness of Black Friday, look at footballers with businesses on the side; from fashionistas to folk singer lookalikes, we've got it all! Tune in to find out details of our exciting competition... There's loads of great content to discover at www.offsiderulepodcast.com - you can pop over to Twitter @OffsideRulePod and Like our Facebook page. Out every Thursday.